The Shirt 2015 is the 27th installment of the largest-selling collegiate apparel item. The 2015 edition, at 169,000 units, is the best-selling single shirt in the history of the project. 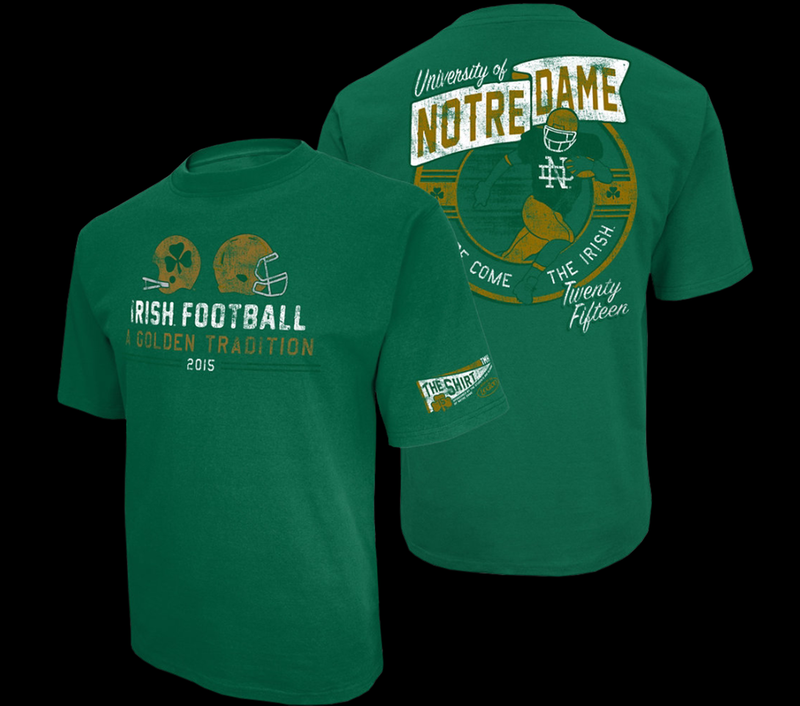 Worn by students, alumni, and fans alike, The Shirt unites Notre Dame behind the football team. Each season features with a new design and message. 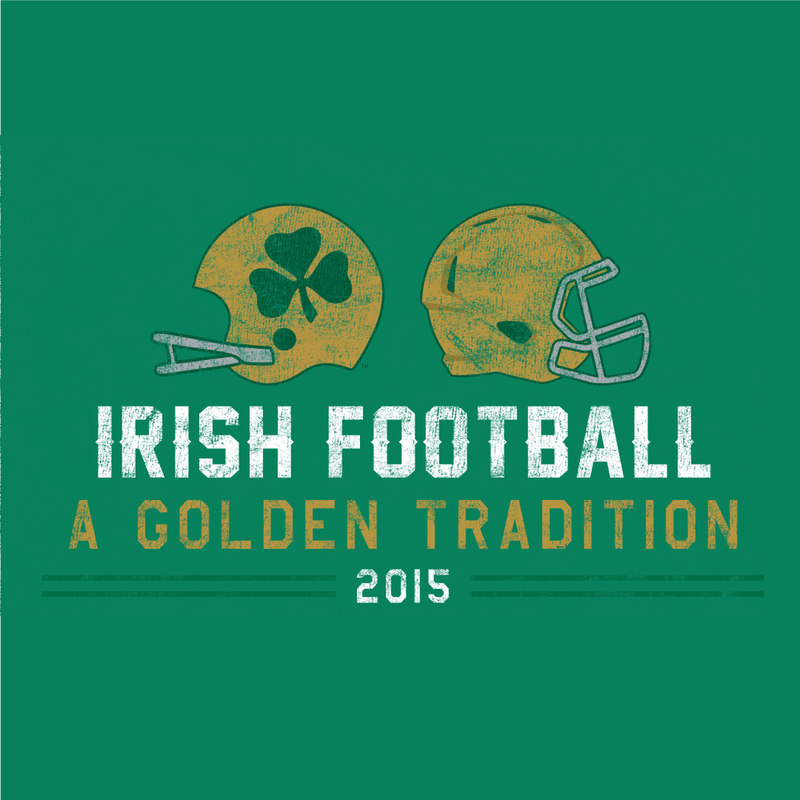 The Shirt 2015 celebrates Notre Dame’s ‘golden tradition’: a storied past and exciting future. 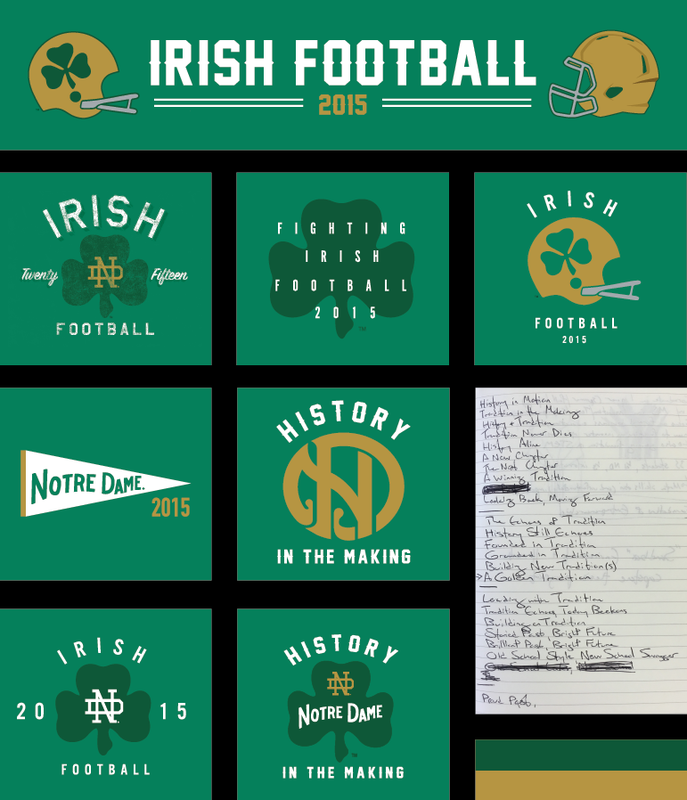 The Shirt 2015 combines imagery with modern touches to tell the Story of Notre Dame football. The front graphic is my baby and the piece of the design I owned start-to-finish. The left-facing helmet is from the 60s and represents ND's past achievements. The right-facing helmet is a contemporary style looking to the future. The back of The Shirt continues to mix old and new. Old program covers inspired the layout. The modern player silhouette wears a retro monogram. The design went a lot of directions over time as we honed in on the heart of the story. We first landed on “history in the making” as our slogan, but found out about a concurrent copyright filing days before printing. After somewhat of a scramble for a suitable replacement, “a golden tradition” emerged. You can see the arrow in the margin noting it as the winner from the scan of my notebook above.